Improving Your Handicap – This new television series follows one-legged golfer, Steve Fangio, as he travels the world highlighting great charities and the inspiring people involved. Mighty Mite – Melissa McMorrow is a professional boxer who currently holds the WBO and WIBF flyweight belts. With the help of Roy Jones Jr. and Harold Lederman, she battles to stay on top. Life’s A Party – This new series gives us a behind-the-scenes look at the fast paced and exciting life of party planning, featuring creative mastermind Jen Deveroux. 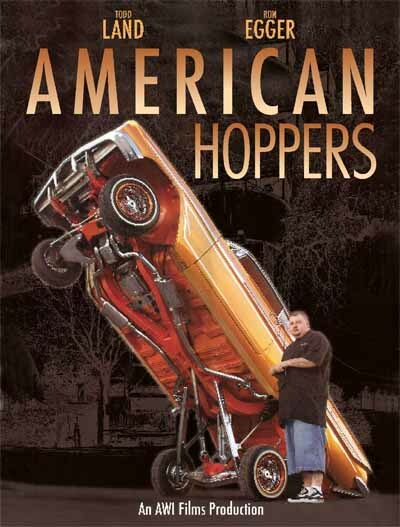 American Hoppers – Todd Land is a heavyweight in the lowrider universe. With the help of his close-knit crew of big boy builders, Todd creates custom cars that spring higher and flash brighter than his competitors. Real Nightlife Scottsdale – Hot girls, hot city. We follow the lives of four young ladies as they chase their dreams in the valley of the sun.